The C.C. 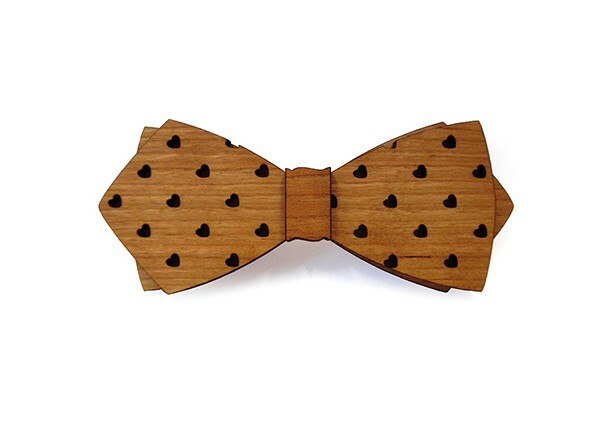 Romeo Ph.D. is a diamond style wooden bow tie with a heart pattern cut into the warm cherry wood. The pattern the red of cherry wood create a wonderful look perfect for Valentine's Day. We call this wonderful design the Ph.D. It gives that touch of class and individualism at the same time. Approx. 2" x 5". Comes complete with adjustable strap.